A criminal gang responsible for trafficking Hungarian women into the UK to take part in sham marriages has been jailed for more than 13 years, following a UK investigation supported by Europol. A Hungarian and a Pakistani were the ringleaders in the gang that trafficked women into the UK, through the port of Dover. Once on British soil, the women were all forced to take part in sham marriages to Pakistani men in early 2013. The women, who were from south west Hungary, were unaware as to what they would endure when they arrived in the UK. The women have all now been able to return to Hungary. The gang members were caught and arrested in August and October last year, following a UK Home Office criminal investigation into the marriages, which took place in Bury and Rochdale. The ringleaders of the criminal group, Hungarian and Pakistani nationals, pleaded guilty to assisting unlawful immigration; the Pakistani national also pleaded guilty to trafficking females into the UK for exploitation. Another Pakistani national was found guilty of conspiracy to assist unlawful immigration. All of the men will be subject to automatic deportation orders at the end of their sentences. Europol supported this cross-border people trafficking operation from the start by facilitating information exchange and the development of international links, as well as organising an operational meeting in Hungary for the competent authorities. 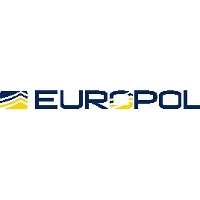 Europol has issued an Early Warning Notification (2014/8) to law enforcement authorities to increase awareness of the exploitation of victims in organised marriages of convenience, which has been identified as an emerging trend in the trafficking in human beings.